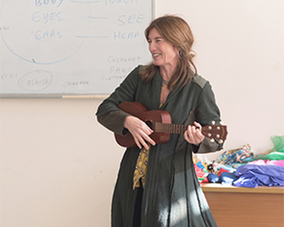 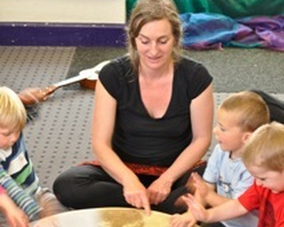 The SoundWaves Network is a three-year early childhood music education programme incorporating a strong element of training for the current and future early childhood workforce in the South West. 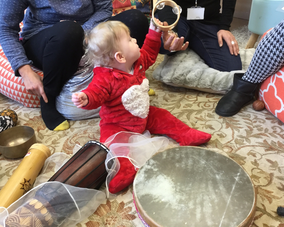 Starting in July 2018, the project takes place within three music-learning communities, located in Plymouth, Bristol and Somerset, working with early childhood settings, universities, advisory teams and Music Education Hubs. 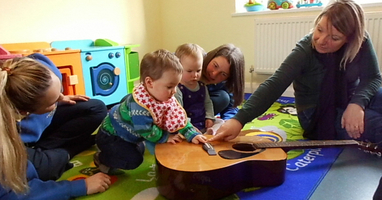 The SoundWaves Network born out of Take Art's two year Soundwaves Extra project aims to support and engage the South West's Early Years workforce and everyone involved in the education of young children through music, so that all young children have the very best musical opportunities to learn and develop. 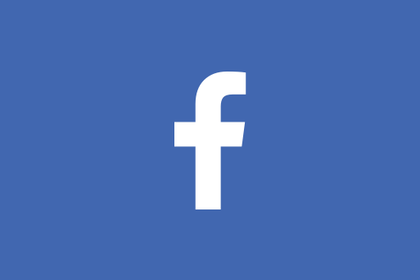 Join the facebook community and find out what people are talking about near you. 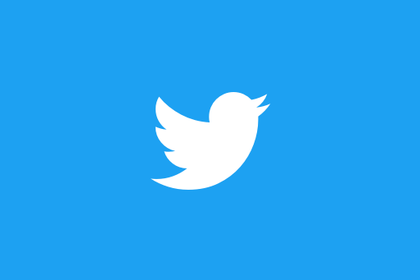 Sign up for The SoundWaves Network twitter feed and get the latest opportunities as they happen. 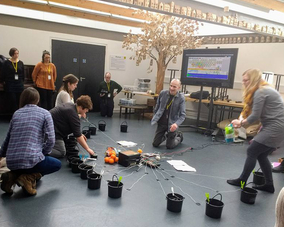 Discover our learning at the end of the Plymouth SoundWaves Network project. 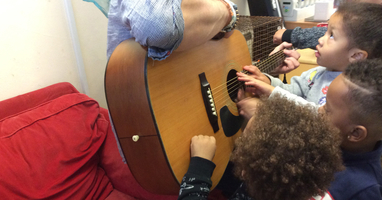 Discover our learning at the end of the Bristol SoundWaves Network project. 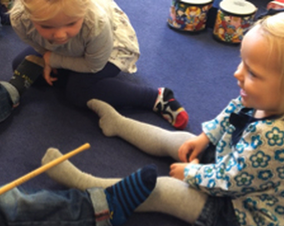 In light of recommendations for the NPME to include the 0-5 age phase, Take Art and Bristol Plays Music are hosting an opportunity for Music Service / Hub Leads to discuss their role in supporting Early Childhood music education provision. 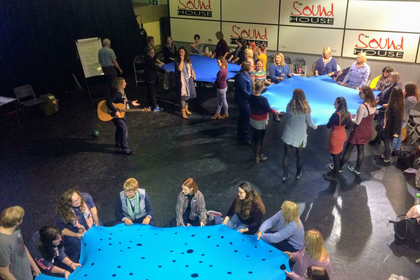 Discover our learning at the end of the Yeovil SoundWaves Network project. 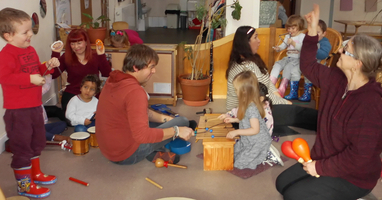 The SoundWaves Network in its earlier incarnation Soundwaves Extra has been proud to support an array of high quality Early Years music projects within EY settings and music hubs throughout the South West. 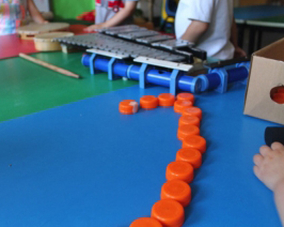 These projects were aimed at teaching the teachers and practitioners how to work more responsively with music and the under 5s. 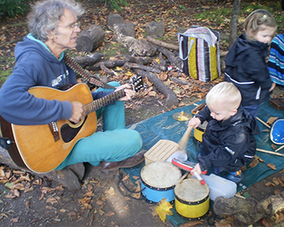 They have been carried out by experienced Music Leaders. 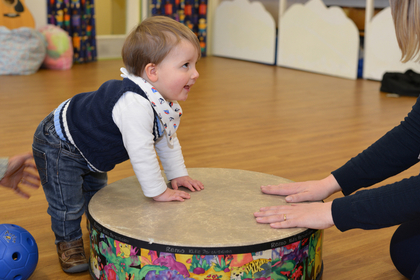 Are you a music or Early Years practitioner based in the Southwest? 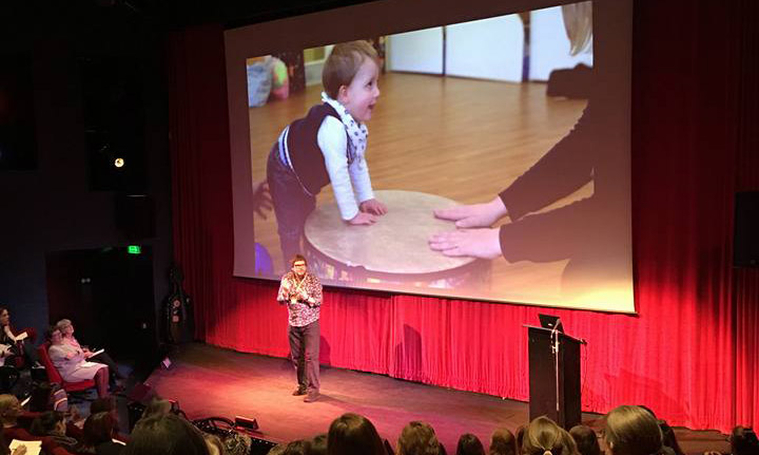 Do you want to attend an Early Years music conference, see a really special piece of work, attend a CPD workshop? 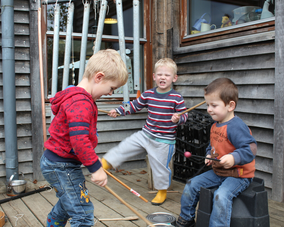 Our outstanding Early Years Music Leaders, researchers and partners play a crucial role contributing to our growing network. 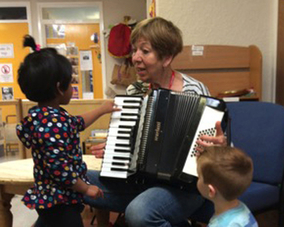 Several of our music leaders have completed their MA in Early Childhood Music tutored by Dr Susan Young at CREC, who herself is our critical friend and mentor. 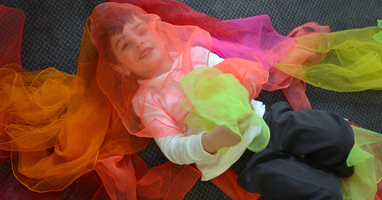 Dr Karen Wickett (Early Childhood Lecturer, Plymouth University) and Early Years evaluator Caroline Barnes are both carrying out research which will be presented at national conferences. 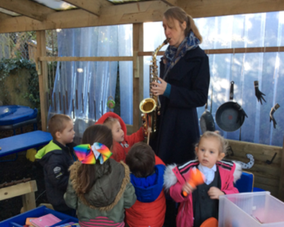 We are indebted to the support from Youth Music, our Music Education Hubs, Early Years Advisory teams and fellow Arts Organisations. 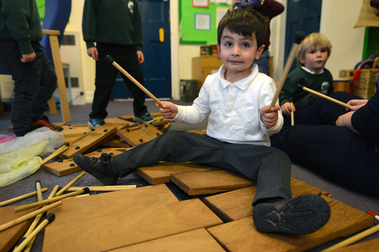 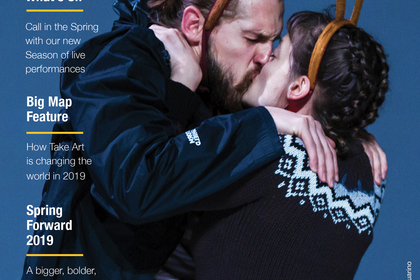 The SoundWaves Network is honoured that Inspire Music (also Paul Hamlyn funded) has chosen us as an example of inspiring and effective Early Years music work. 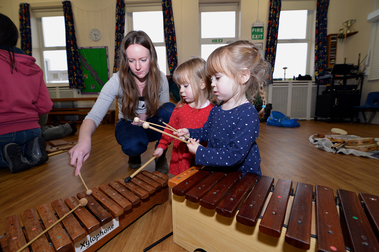 Take Art launch their three-year Early Years Music project The SoundWaves Network in Plymouth, heralding a exciting future for Early Years music provision in the South West.